What: One of Oregon’s largest and oldest family-owned businesses, famous for its Pacific Northwest-inspired wool apparel and Native American blanket designs. Its products are sold by retailers and through Pendleton’s stores and website, as well as by mail-order catalog. Headquarters: 220 N.W. Broadway, Portland. Executives: Bill Lawrence, CEO; Broughton (Brot) Bishop, vice chairman; C. M. (Mort) Bishop III, president; Dennis Simmonds, CFO; John Bishop, vice president and chairman of the board; Charles Bishop, vice president; and Peter Bishop, vice president. The company’s largest wool-weaving mill, where deliveries of raw wool fibers are processed into yarns that are dyed and made into fabrics. Where: 2 Pendleton Way, Washougal. Hours: 24 hours a day, Monday-Friday. Mill tours: Phone 360-835-1118 to schedule. WASHOUGAL — Machines at the Pendleton Woolen Mill hum as watchful workers oversee automation that cards raw wool and robes it onto spools. Others manage rows of mechanical spinners that twist yarn onto wooden bobbins. At another station, workers use computers to control the mixing of dyes, dipping spools of yarn into stainless steel vessels. Earplugs are mandatory in some of the mill’s noisiest areas, such as the weaving room, where operators feed and oversee machines costing $250,000 apiece that weave the yarn into a kaleidoscope of plaids and solids. 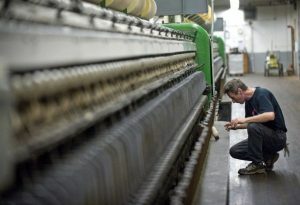 Throughout the 300,000-square-foot factory, employees and machines work together to produce wool fabric that is tailored into traditional Pendleton suits, shirts, blankets and rugs, shown on New York fashion runways and sold to manufacturers that make everything from hunting apparel to upscale office furniture. The busy Washougal mill is evidence that textile manufacturing is not dead in America. Staffed by 190 employees who keep it going 24 hours a day, five days a week, the factory marks its 100th anniversary under the Pendleton banner this year. It is going strong at a time when politicians and economists are wringing their hands about the state of industry nationally. Yet Pendleton is still finding opportunities for growth, said Charles Bishop, 53, vice president and division manager of the Portland-based company and a member of its fifth-generation family ownership. Pendleton’s secret? Adapting to an evolving global economy with inventive yet traditional design and attention to quality — not quantity. In fact, by coupling innovative designs with smaller production runs, Pendleton has kept its supply of materials tight while increasing demand for a brand that’s popular with consumers at home and gaining attention abroad. “The world changes, so we have to be constantly changing,” said Bishop, adding that the company still faces relentless competition. It’s not just labor costs, according to Bishop, who said business costs continue to rise on everything from disposing of wastewater to safety compliance. In Bishop’s opinion, public policies should change to encourage more manufacturing. “That’s what’s going to provide jobs and that’s what is going to fund our public needs,” said Bishop, a descendant of the English weaver Thomas Kay, who essentially started the business when he came to Oregon in 1863. The Pendleton name originated with the family’s first woolen mill in Pendleton, Ore., launched in 1909 by the three sons of Thomas Kay’s daughter, Fannie, and her husband, retail clothier C.P. Bishop. The sons — Clarence, Roy and Chauncey — purchased the Washougal weaving mill in 1912 in the name of the Pendleton brand. Bishop declined to share revenue figures. However, Pendleton prides itself on being profitable, according to Cheryl Engstrom a spokeswoman for the business. 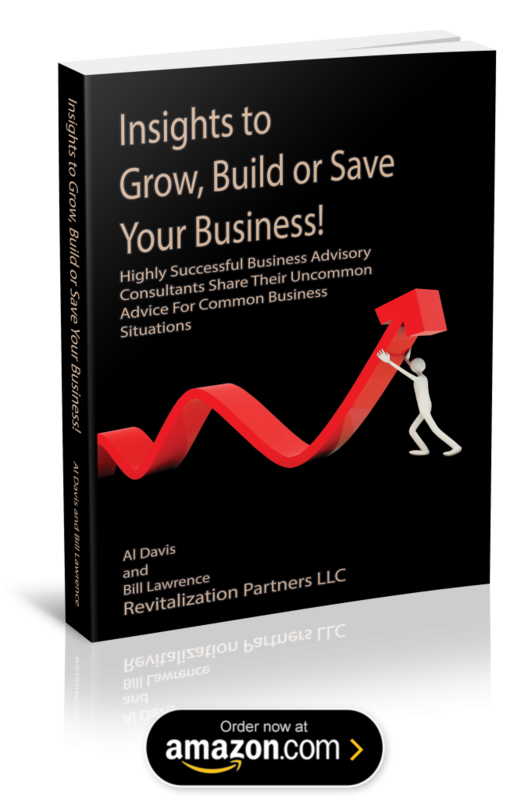 Part of keeping the business in the black is recruiting top talent. The Bishops are not opposed to hiring non-family members, especially experts who can handle the retail side of Pendleton’s business. Example: they appointed a new chief executive officer, Bill Lawrence, in 2011. Family managers liked Lawrence’s 30-year retail background. He was hired to lead a strategy to draw international attention to the Pendleton brand, Bishop said. Lawrence has done that by developing new Pendleton retail stores — the company now operates 70 — and a new catalog business. He has also worked to improve Pendleton’s e-commerce business to transform the enterprise. “Now, we’re marketing directly to the consumer rather than being strictly a wholesale business,” Bishop said. The approach has helped capitalize on an emerging worldwide interest in American heritage products. “It’s hard to believe we could be exporting fabric and apparel made in the United States to Europe or Asia, but we’re working hard at it and we’re encouraged by the results,” Bishop said. The focus on overseas buyers doesn’t surprise textile industry expert David Trumbull, vice president of international trade for the National Textile Association in Boston. “Consumers around the world know the United States is a design leader,” Trumbull said, adding that U.S. textile suppliers often couple the innovation with smaller production runs. “If you’re nimble and can come up with a few thousand new designs a year and issue it in short runs, you can be very attractive to the consumer who wants individuality,” Trumbull said. 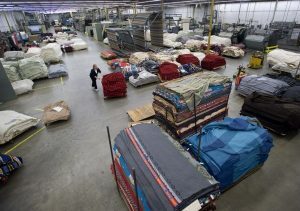 Aside from producing fabric for its own line of upscale apparel, Pendleton’s Washougal mill makes fabric for about 100 specialty customers, including office furniture companies Herman Miller and Steelcase. “This is how we’ve been able to stay competitive, by making just a few fabrics so we don’t have to compete with China,” Bishop said. In the meantime, labor and materials costs have increased for textile manufacturers that outsource to China, according to a recent article published by What’s Working, the Association of Washington Business magazine. The turn of events has created a more balanced playing field when coupled with shipping costs, Trumbull said. Moreover, a U.S.-Dominican Republic-Central American free trade agreement has also buoyed U.S. textile manufacturing by allowing South American-made garments to enter the United States duty free if they are made with U.S. fabric. Since the agreement’s 2010 passage, “We’ve seen business coming back to the region,” Trumbull said. The agreement also has set up a handy marriage between the labor-intensive garment makers of the developing world and North America’s capital-intensive fabric mills, such as Pendleton’s Washougal plant. Trumbull said Pendleton has also benefited from operating in the midst of its own market. 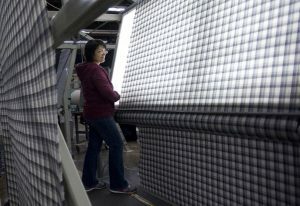 “It’s a real advantage for textile makers here to pick up on the nuances of what the American consumer wants,” he said. Bishop said the concept is continually being explored by the company’s new chief creative officer, Mary Richter, a former Nordstrom executive, and new designers for its traditional menswear and women’s apparel lines. Pendleton also recently hired a trio of young designers to create a new fall line — the Portland Collection — which infuses youthful fashion with traditional fabric design. “They (Pendleton) have taken advantage of opportunities where they could,” said Paul Dennis, a business expert and head of the Camas-Washougal Economic Development Association. But Dennis said Pendleton Woolen Mills has built its success on high-quality clothing items and a reputation that traces its roots to the mid-19th century.